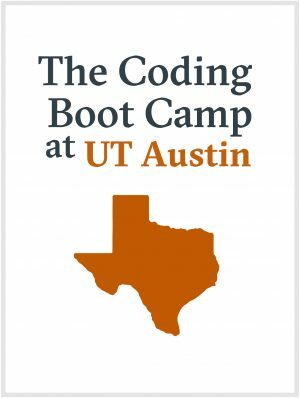 The Coding Boot Camp at UT Austin is the first university-backed coding boot camp in the state of Texas. With the rising demand for web development skills across industries, our course was designed to prepare students with the knowledge they need to tap into today’s digital economy. Work together with your peers to tackle complex projects and get hands-on programming training through experiential learning opportunities with employers. Take your new skills to the next level by building a portfolio of web applications, coding mobile apps, and challenging projects that showcase your knowledge. Receive a Certificate of Completion from UT Austin, demonstrating your achievement to future employers. 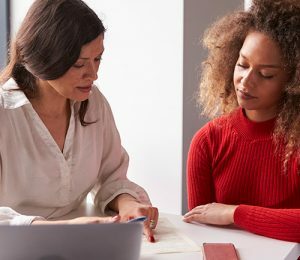 Benefit from a wide array of career support services like resume writing, social media profile support, preparation for technical interviews, portfolio reviews, soft-skills training, and more to help you put your best foot forward. Our flexible program options are designed to fit the demands of your busy schedule. Choose our 24-week, part-time program to advance your programming skills without leaving your day job, or choose our 12-week, immersive program to launch your career sooner and study at a faster pace. No matter which option you choose, you will become part of a community of peers and dive into a life-changing experience. With classroom-based learning and hands-on projects, you’ll explore the theory and application of web development. You are interested in freelancing to supplement your current income—or want to engage more productively in your current job. You want to move companies or change careers—or switch from a non-technical to a technical role. You dream of going “all in” on an entrepreneurial idea and want to gain the skills needed to build your product or service. You are a voracious learner and wish to gain additional knowledge or amplify your skill set. Classes held two weekdays evenings from 6:30-9:30 p.m., and Saturdays, from 10 a.m.-2 p.m.
*Time is approximate and subject to change. Learn more about The Coding Boot Camp by calling an admissions advisor at (512) 387-5789 or filling out the form above.